Boateng, Clark, and Coby pick up LSC Athlete of the Week awards. 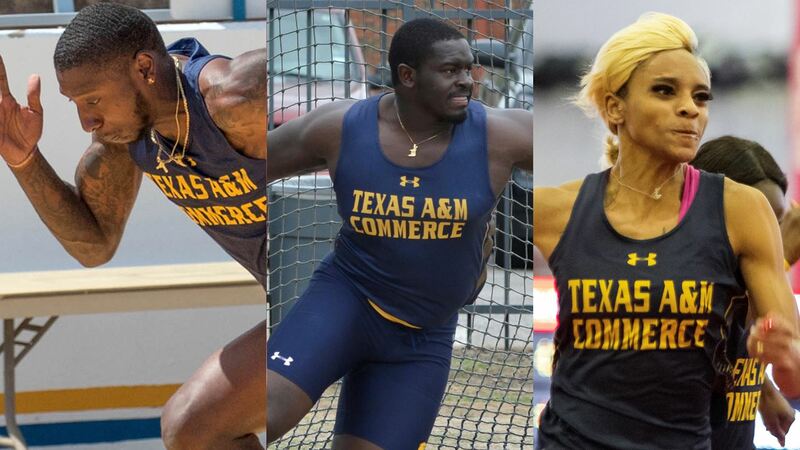 RICHARDSON – The Texas A&M University-Commerce trio of Josh Boateng, Rashard Clark, and Eboni Coby picked up Lone Star Conference Athlete of the Week honors after fantastic weekends at the East Texas Invitational, leading the Lions to team titles. Boateng – a junior from St. George’s, Grenada – earns LSC Male Field Athlete of the Week honors for the fourth consecutive week. Boateng recorded the sixth-farthest discus throw in Division II history at 199-4 (60.77m) to win the East Texas Invitational, and break a 36-year old A&M-Commerce school record. He also broke the Grenada national record in the event and earned the first new entry into the Division II top ten in the last seven years. Boateng’s long throw is also the sixth-farthest in all collegiate divisions this season. Clark – a senior from Los Angeles, Calif. – posted a 21.09 in the men’s 200-meter dash at the East Texas Invitational to win the event and post the third-fastest time in Division II this week, and the second-fastest in the LSC this season. He also ran in the 100-meter dash and 4×100 meter relay in the home event. Coby- a senior from Lancaster – set a school record in a sprint event for the second straight week. Coby set the A&M-Commerce school record in the 200-meter dash, winning the game at the East Texas Invitational with a time of 24.26 seconds. She had the fastest time in Division II in the event this week and third-fastest in the LSC this season. Coby was also on the 4×100 meter relay team that won the ET Invite that had the nation’s 6th-fastest time of the week at 46.43 seconds. The Lions will go split squad this weekend, with Clark and the men’s sprinters going to the Mt. SAC Relays in Southern California, and the rest of the team heads to Baton Rouge, La., for the LSU Alumni Gold meet. Lions ranked second in initial South Central Regional rankings. INDIANAPOLIS– The No. 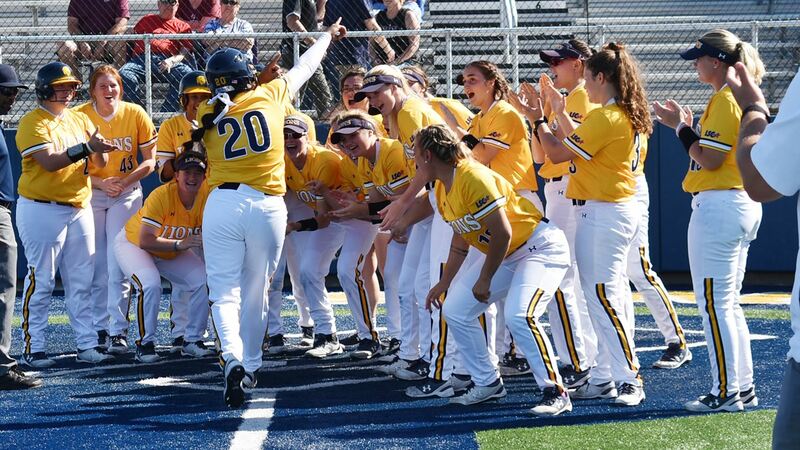 8 Texas A&M University-Commerce softball team is the second-ranked team in the initial NCAA South Central Regional rankings. The South Central Region consists of the Lone Star, Heartland, and Rocky Mountain Athletic conferences and NCAA released the rankings on Wednesday. It is the first release of the official NCAA rankings this season, and the Lions’ highest regional ranking in program history. The Lions have been ranked in every regular season regional poll since the program’s inception in 2015 and won the South Central Regional Championship in 2018. A&M-Commerce is one of six teams from the LSC in the rankings. All of the teams in the top five come from the LSC. Texas A&M-Kingsville is in the first spot, followed by A&M-Commerce in second. West Texas A&M is ranked third, Tarleton is ranked fourth, Cameron is ranked fifth, and Angelo State is ranked seventh. The tournament champions of the LSC, HC, and RMAC, as well as five at-large teams, will advance to the NCAA Division II South Central Regional Tournament, set to begin May 9. The top two seeds in the region will host a four-team double elimination tournament, with the two winners meeting in the Super Regional Tournament the following week. A&M-Commerce currently has a record of 35-10 and 21-6 in the LSC. The Lions have a current record of 10-6 against teams ranked in the South Central Region. The Lions swept Rogers State, St. Mary’s and Angelo State, took two games against Tarleton and also had a win against West Texas A&M. The No. 8 Lions will return to action on April 26 for their final series of the regular season. A&M-Commerce will host Cameron in a three-game series. The teams will play a single game on Friday, April 26 at 6 p.m. and a doubleheader on Saturday, April 27 beginning at 1 p.m. All games will be played at the John Cain Family Softball Field. Tickets to the series against Cameron are available at WeAreLionsTix.com, by calling (903) 468-8756, by visiting the Lion Sales & Service Box Office in the Field House or by purchase at the gates of the field. LOUISVILLE, Ky.– The Texas A&M University-Commerce softball team is the No. 8 ranked team in the nation in this week’s National Fastpitch Coaches Association coaches poll as the Lions held their spot from last week’s ranking. NFCA released the rankings Wednesday. The Lions have been nationally ranked in 23 consecutive polls dating back to last season. 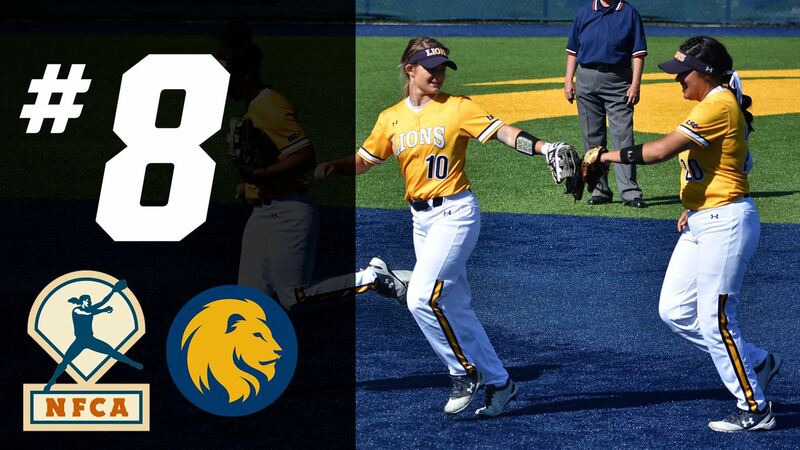 The Lions are coming off of a 2-1 series win over Tarleton, who was ranked No. 21 in last week’s poll. The Lions are currently 35-10 on the season and have a conference record of 21-6, which is the best record in the league. They lead the nation in fielding percentage and rank second in the country in home runs per game. A&M-Commerce also ranks in the top 10 in Division II in slugging percentage, on base percentage and scoring. A&M-Commerce is one of four teams from the LSC in this week’s top 25-poll, and one of three teams in the top 10. A&M-Kingsville is ranked third, followed by West Texas A&M at sixth, A&M-Commerce at eighth and Tarleton at 22nd. Schedule Update: St. Edward’s doubleheader canceled due to weather. COMMERCE– The No. 8 Texas A&M University-Commerce softball team has announced a schedule change. Due to severe weather forecasts, the Lions’ doubleheader scheduled for Wednesday against St. Edward’s has been canceled. There is not a reschedule. Lions are currently 35-10 on the season. They lead the nation in fielding percentage and rank second in the country in home runs per game. A&M-Commerce also ranks in the top 10 in Division II in slugging percentage, on base percentage and scoring. The Lions have a record of 21-6 in the Lone Star Conference, which is the best record in the league. The No. 8 Lions will return to action on April 26 for their final series of the regular season. A&M-Commerce will host Cameron in a three-game series. The teams will play a single game on Friday, April 26 at 6:00 p.m. and a doubleheader on Saturday, April 27 beginning at 1 p.m. All games will be at the John Cain Family Softball Field. Further schedule updates will be on LionAthletics.com and the Lion Softball Twitter page (@Lion_Softball). Committed to a “Best In Class” student-athlete experience. 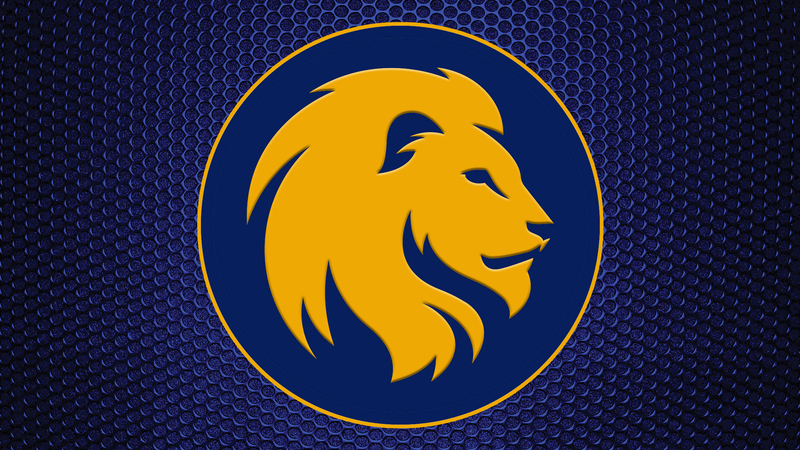 Connect with us on our Lions’ Den Social Stream.